The Toccoa River is located in north Georgia, near the tri-state border shared with Tennessee and North Carolina. 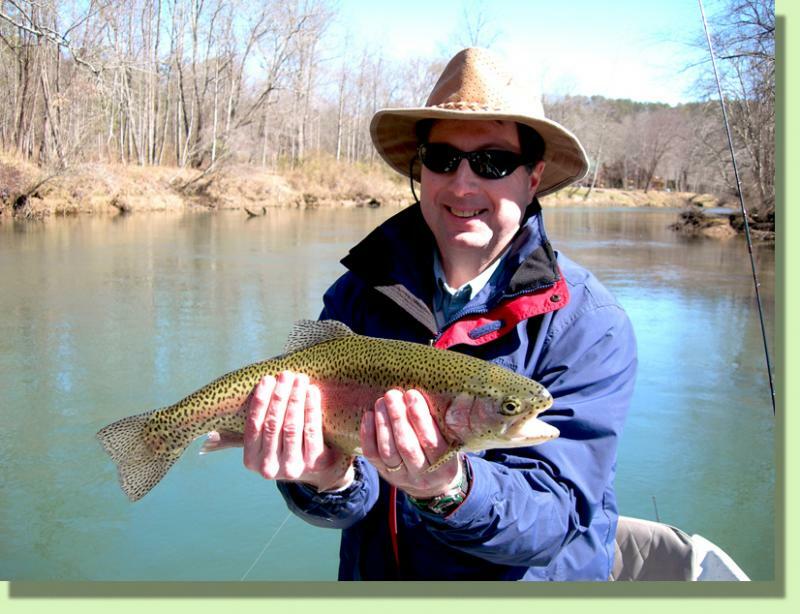 The tailwater trout fishery begins below TVA's Blue Ridge Dam and flows for about 13 miles before crossing into Tennessee and becoming the Ocoee River. The area boast several neat towns that cater to travelers. Lodging, shopping, dining and lot's of other activities can be found between Blue Ridge and the border towns Copper Hill / McCaysville. The Toccoa River is much different than all of the other rivers we feature. It's much smaller in size than our other tailwaters, averaging only 30 yards from bank to bank. The Toccoa also flows through private, residental areas, with some truly impressive structures. The area still carries a lot of gorgeous southern appalachian scenery, just with a neighborhood feel. 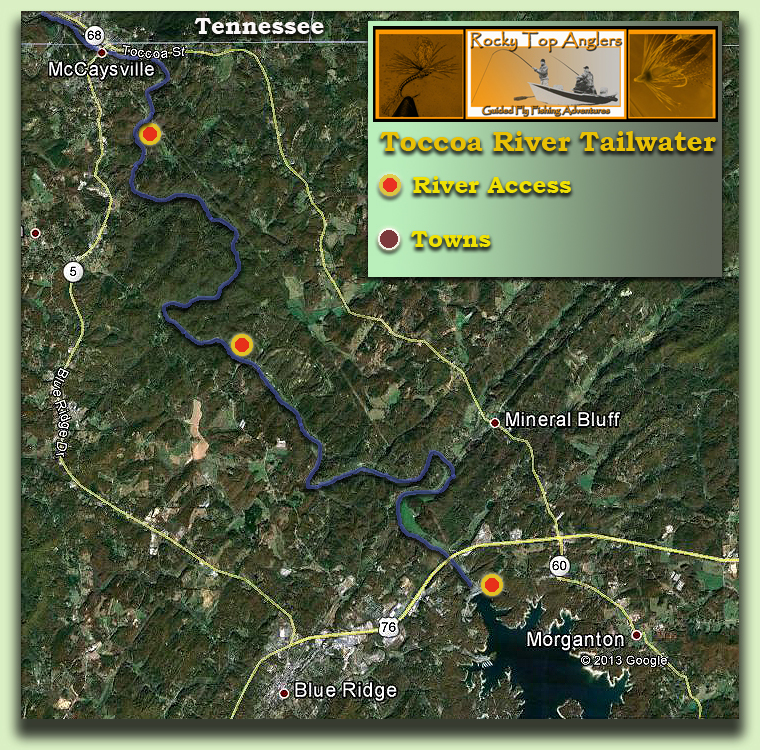 The Toccoa tailwater is a year round fishery but we like to fish it during late winter and spring. The river is less busy and the fish are active coming out of winter. Early season tactics focus on nymphing and streamers. As the weather warms we shift more towards dry flies and emergers. Five and six weight rods are common and are flexible enough to handle most applications on the Toccoa. Click on bottom right of map to enlarge. 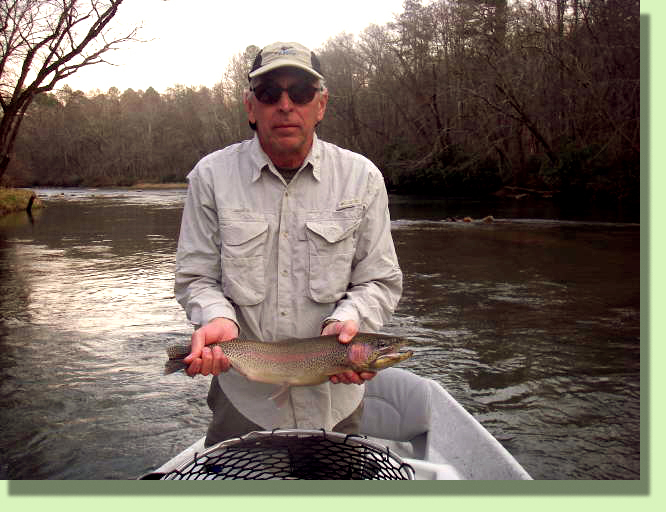 The unique feel and quality of the fishery makes up for what the Toccoa lacks in solitude. 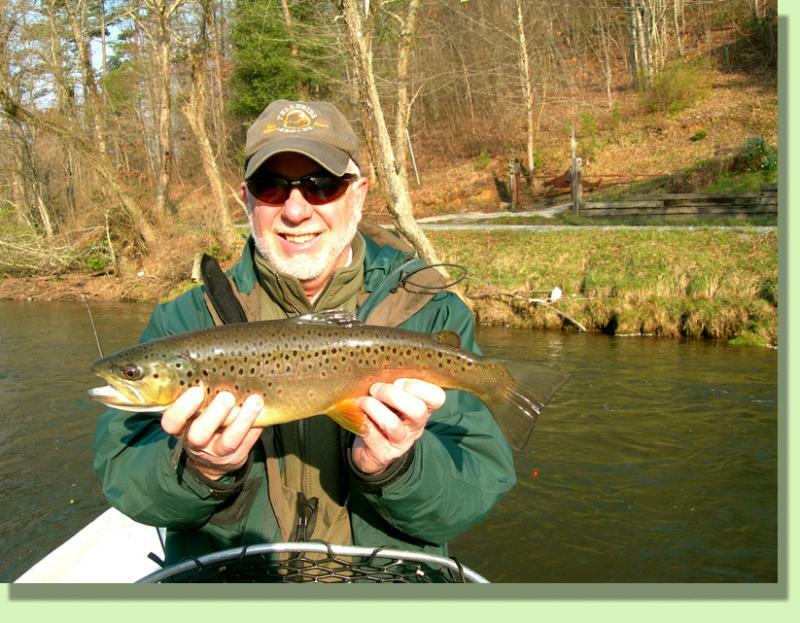 The river is well stocked with rainbow, brown and brook trout. TVA has a small, constant flow generator that keeps cold water flowing even when the main turbines are off. This makes for a very healthy river. The river boasts strong spring hatches of caddis and mayflies. The fish also receive supplemental feeding from many of the land owners, so the fish tend to grow qucikly, becoming what we call Toccoa footballs.